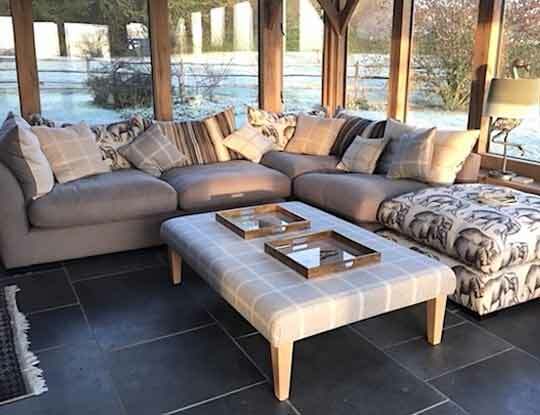 Browse our fantastic offering of British wool sofas. S&S have a large selection of woolen fabrics and weaves for you to choose. Woolen Sofa Range - Wool fabrics have long been a staple of the country home. Perfect for cold days by the fire. However now we have noticed that even modern city dwellings are turning to Wool as their fabric of choice. Wool sofas make the perfect partner for those lazy days. Just kick back and enjoy the soft, yet firm texture. 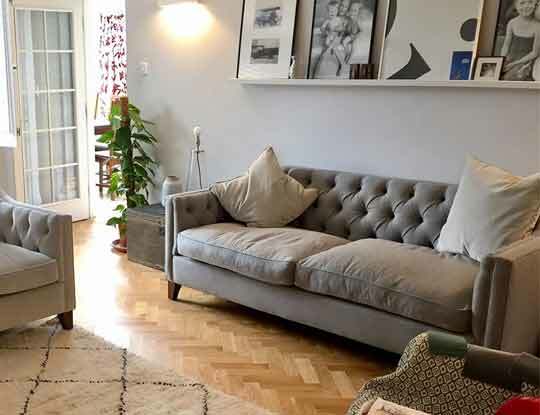 Woolen settees are great for families as they tend to be hard wearing and easier to keep clean. If there is one thing that wool fabrics do, it is certainly add some class to your living space. All our wool sofas are handmade in the UK. We specialise in providing bespoke sofas made to your very specific orders. Our handstitched weaves come in literally any colour in the world. Anything from a bright yellow corner unit, to a large brown wool sofa, the choice really is yours. Luxury living in the 21st century has never been so important. Technology is paving the way for a bright future, where people are living not only longer, but with a significantly better standard of life. As a result people want to enjoy the finder things in life. One of these such things could be a fabulous luxury woolen sofa. Add a bit of class and style to your life. We believe once you have sat on our wool settees, no other fabric will quite match up. All our furniture is handmade in Britain. We at S&S understand that people want high quality but not the hefty price tag associated to it. That is why we offer a price match guarantee on all our products, even beds and chairs. If you find a life for like sofa and fabric cheaper somewhere else, we will match that price. That way you can get a top qulity couch, chair of bed from us at a price that anyone can afford. Why not pop into one of our furniture stores and see what fantastic offers we have today. Why not order some free wool fabric samples pack, so you can see the high quality material we offer.